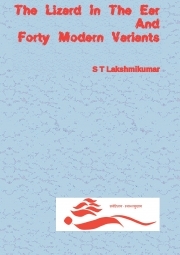 Description of "The Lizard In The Ear And Forty Modern Variants"
This book contains forty posts being shared on the social media which were critically examined in the blog, takes2mins2debunk. Hopefully, the present effort of collating these will provide a book inculcates in the readers, particularly young ones, a habit of being logical and not accepting every post being shared on social media. That would also reduce the susceptibility to accepting conspiracy theories and reduce stress. Unlike conventional sites devoted to debunking, the posts had been selected to ensure that they can be debunked by logically examining with the content of the post itself. No specialized knowledge has been employed. In other words this is a training for the reader to develop the capabilities for future use and not an expert opinion for reference. Dr S T Lakshmikumar obtained his doctorate in physics from Indian Institute of Science, Bangalore and worked as a scientist at the National Physical Laboratory, New Delhi. His earlier works for general audience include “The quest for new materials” (2005) and “Experimenting with the quantum world” (2009) published by Vigyan Prasar and “How well do we know it?”, “On walking the knife edge of science and religion” and “India: MY India” published through Pothi. Reviews of "The Lizard In The Ear And Forty Modern Variants"